Exclusively available in the UK from Home Leisure Direct. Incredible range of the finest contemporary pool tables, using solid woods, glass, stainless steel and high gloss paint. Billards Montfort Pool Tables are the expert creations of a company who combine traditional know-how and modern techniques to design and build exquisite luxury pool tables. Here at Home Leisure Direct, we are incredibly proud to be the only Official Billards Montfort Retailer in the UK. Selected by Montfort because of our industry-leading website, specialist installers and expert sales advisors, we are able to offer you a first class service. Billards Montfort design contemporary pool tables that combine the playability of a slate bed pool table with the craft and design of a beautiful piece of furniture. Each table is hand-made in a dedicated workshop, by Montfort's team of experts. Montfort pool tables represent French manufacturing quality and craftsmanship and are internationally recognised for their design and construction. Whether your room is contemporary, modern, classic or traditional, a Montfort billiard table will create the ambience you desire. By blending periods, shapes and the finest materials, Billards Montfort have created a full range of pool tables that meet the specific needs of customers. 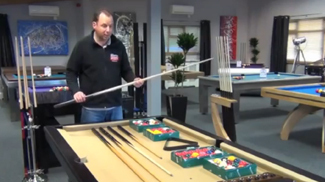 The pool tables Billards Montfort have developed are very much flexible to the customers requirements. A wide range of options of materials and cloth are available, along with pool dining table tops and carom conversion kits. This allows you to personalise your table to suit your décor, instead of compromising on style. Every table in the Billards Montfort range is available in a great variety of finishes to help you find that perfect look. Luxury benches and chairs are available to match many of the tables in the range, which can be used while dining at the table, when waiting for your turn at pool, or just as a matching piece of furniture for a coherent look. Billards Montfort ensure the environment surrounding your pool table will be just right by offering a range of furniture, pool accessories and lighting arrangements to complement your luxury pool table perfectly. The choice of 11 different cloth colours supplied directly by Billards Montfort completes the look, though if you can't find exactly the colour you want, we can supply Smart Cloth by Hainsworth, or one of our huge range of logo cloths, which include football club logos, Jack Daniel's or any printing of your own design. If you need any help choosing your perfect table, or deciding on colour schemes and finishes, please give one of our expert advisors a call on 0800 622 6464 and we'll be happy to talk through all your options. At Home Leisure Direct we supply your Billards Montfort table with free delivery and installation to most locations within mainland UK. The table will be professionally handled by one of our fully insured specialist two man delivery teams. It will be placed in a ground floor room of your choice, and all packaging removed. This ensures you have the best service from Billards Montfort and Home Leisure Direct, from the moment you order to the start of your first game. If you are looking for some expert advice, either on Billards Montfort Pool Tables or on any of our other products, please just give our friendly team of advisors a call on either our freephone number 0800 622 6464, or on our main line number 01454 413636.